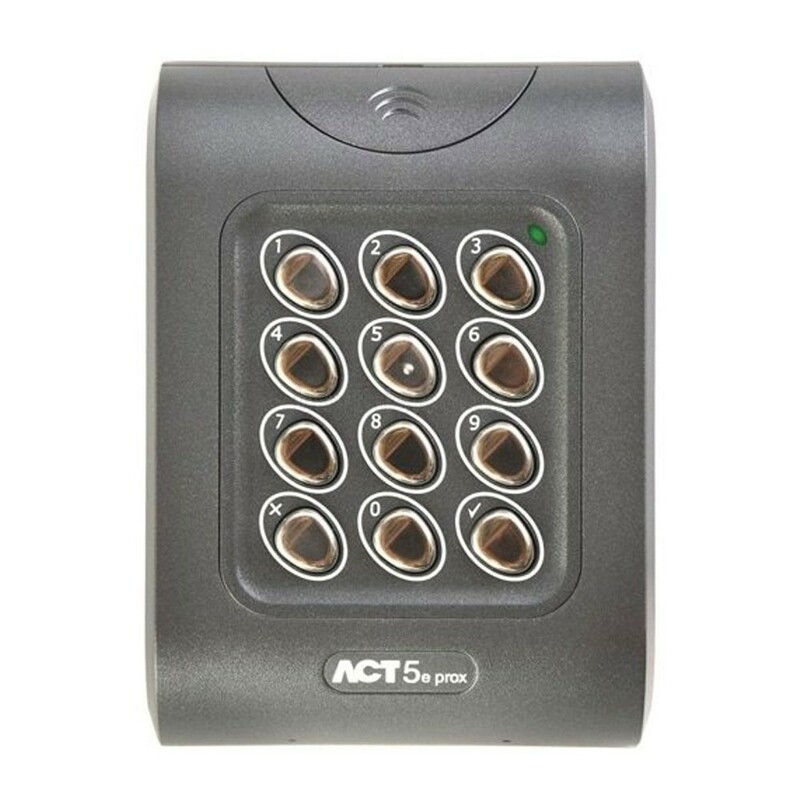 The ACT 5e digital keypad is a simple, easy-to-use access control unit combining digital keypad and proximity technology with a tri-colour LED and buzzer indicator. Keypad back lighting enhances functionality at night or in poor light conditions. The ACT 5e access control keypad is contained in a stylish poly-carbonate housing, with stainless steel keys and potted electronics, allowing for indoor and outdoor installation. The unit supports up to 50 users, each with a unique PIN code and proximity card/fob. and has an incorrect code lockout mechanism. This keypad can either be flush or surface mounted on to standard single gang electrical back box.